TMR17 is currently available on PC only from this store link. 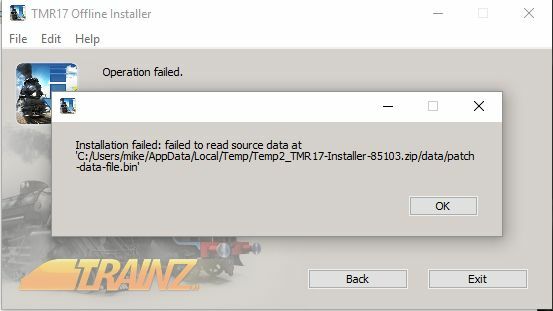 Download the installer from your MyTrainz account by clicking on the link provided in your store confirmation email. Unzip the installer using WinZip, 7Zip or any other zip utility. Run the Installer.exe and follow the installer prompts. If your internet connection drops while downloading, an error message will appear. Just click Retry and it will continue to download. Please note that if your computer goes to "sleep mode" while downloading your connection may drop out. 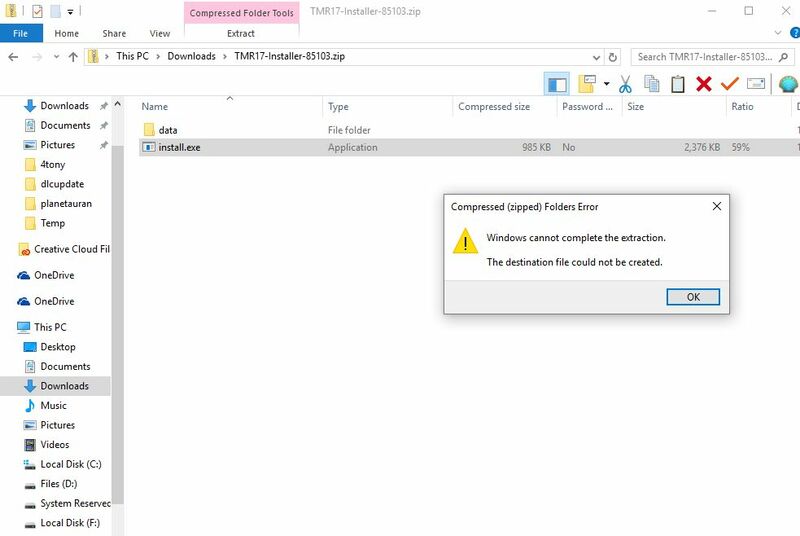 This error appears if you attempt to run the installer.exe without first unzipping the file.